A wild crash in the Bronx sent nearly a half dozen people to the hospital Tuesday, officials say. 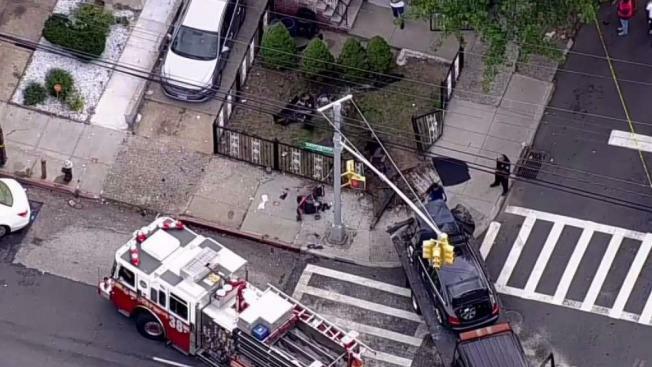 Chopper 4 was over the wreck that happened around 5 p.m. at the corner of Eastchester Road and Givan Avenue in Williamsbridge. Authorities said two cars collided and one ended up jumping the curb and slamming into a fence. Five people were taken to an area hospital, according to officials. Three are in serious but stable condition and two suffered minor injuries.